The Nahverteidigungswaffe was mounted on the Tiger I, Panther, Jagd Panther, Tiger II, Jagdtiger, Sturmtiger, StuG III, Pzkpfw IV and other late war German Armored Fighting Vehicles. The images below show some of these mounts in the Tiger series, Jagdpanzer IV and StuG III. This page is best viewed at 1024x768 or higher. Some of the images are large and will take some time to load. Here is a nice shot of a late Tiger E turret from the rear that clearly shows the location of the Nahverteidigungswaffe at the rear of the turret behind the loader's hatch. 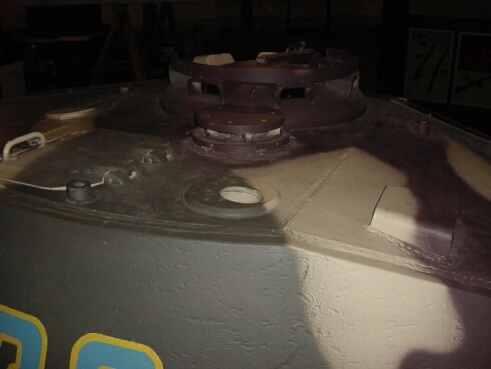 This turret shows the other late production characteristics such as the the increased armor of the turret roof (now 40mm), the ventilation fan moved forward over the gun breech and the Prismenspiegelkuppel commander's cupola. What is of particular interest in this shot is the Verschlußstopfchen shown in place. This was kept in the weapon normally to prevent rain water accumulation in the launch tube. This particular Tiger is located at Vimoutiers, Normandy. 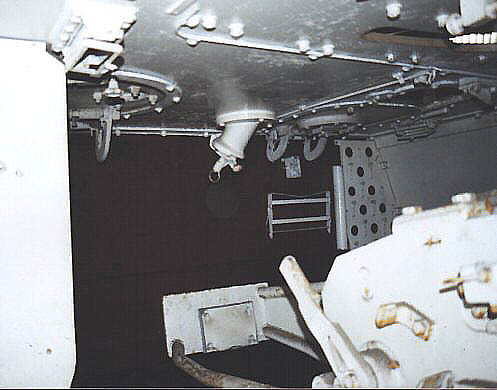 Below is a picture of the Nahverteidigungswaffe on the Patton Museum's King Tiger showing its position directly in front of the loader's hatch. This picture is of the interior of the Tiger I (late) at Saumur (The French Armor Museum). 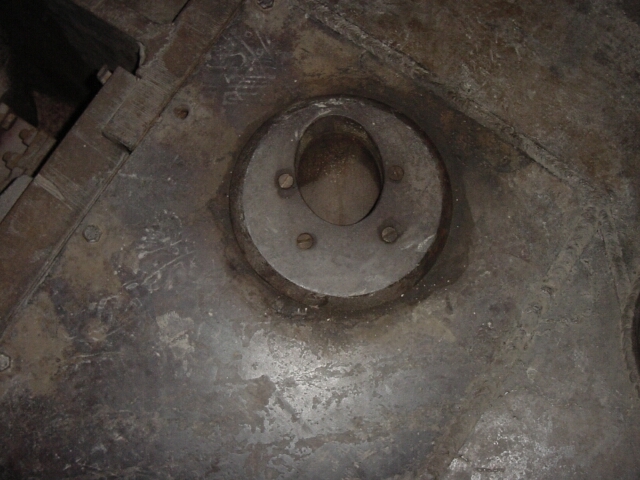 It shows the right rear turret escape hatch and the Nahverteidigungswaffe. Many thanks to Jean-Charles for this photo. Clearly visible are the tirgger and charging ring. 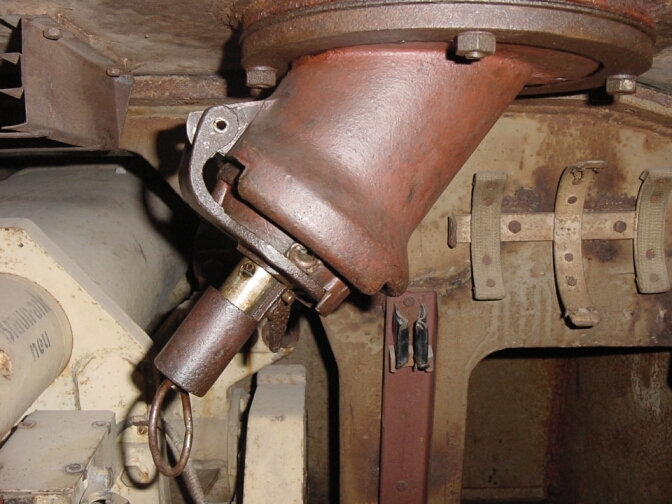 The following photo is of the same vehicle where Jean-Charles has located the breech locking handle and reinstalled it (free of charge). 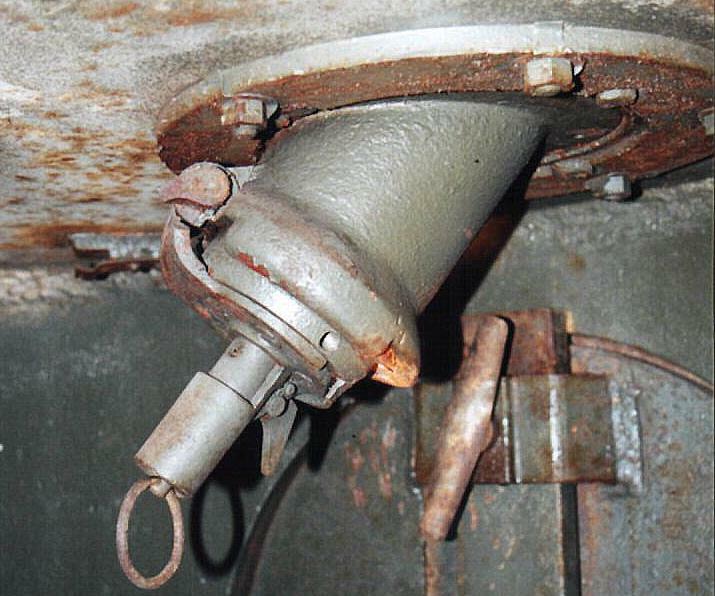 This is the device inside a late production StuG III on the loader's side of the crew compartment. It is in good condition but is missing the breech locking handle. And the same vehicle from the outside. This shot shows the mounting in the Jagdpanzer IV Zwischenlösung (intermediate solution) that had the new Jagdpanzer superstructure mounted directly on an otherwise normal Panzerkampfwagen IV. 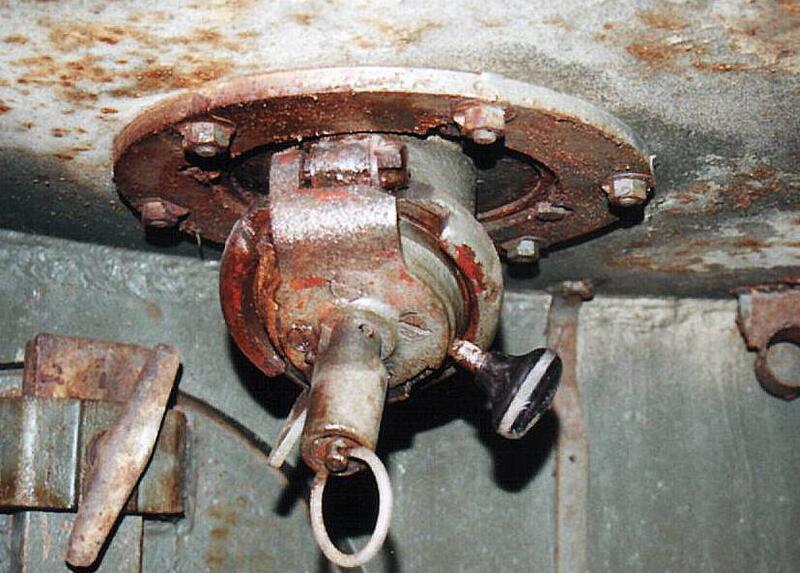 Of note here is the proximity to the commander's hatch which indicates the commander must have been responsible for its use. 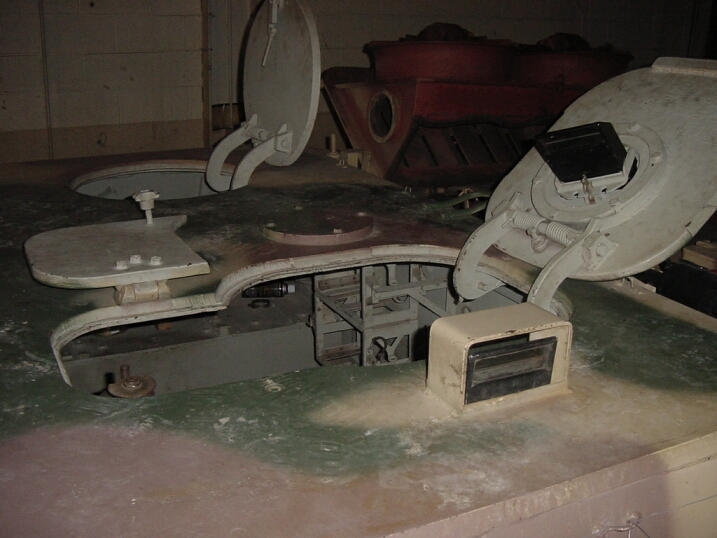 Below is a shot of the roof area of the Jagdpanzer IV L/70 at Fort Knox. It has a simple plate bolted over the opening where the nahverteidigungswaffe should be.